Ray Ermigarat’s parents immigrated from France in the early 1900’s and settled on a small farm near Greenfield. After transferring from Bakersfield High School at the end of his freshman year, Ray went on to become a seven-time North High Star Letterman and a legitimate Basketball STAR. 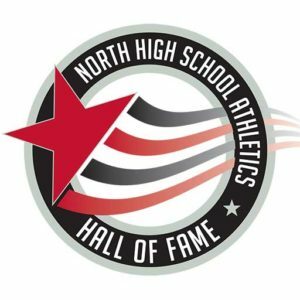 Talk to anyone about the basketball greats of North in the early years of the school, and Ray Ermigarat will be one of the first names mentioned. His late arrival at North did not keep Ray from leaving his mark in the Star gym as he was a three year starter on the varsity basketball team his sophomore, junior and senior years. As the starting point guard, he was MVP in 1962 as well as First Team SYL in 1962 and ’63. Ray missed being the top scorer in the league by only two points both his junior and senior years. He was a member of the All Tournament Basketball team and the Kern Prep Invitational All Tourney Team in 1962, and, the Kern County High School Cage Tournament Team in 1963. In his last year of high school basketball, Ray and the rest of the North High varsity team beat BHS by a score of 48-44 to win the Kern Prep Invitational. That was the first time any other high school team besides BHS had won that tournament. The overall record for the Stars in 1962-63 was 18-3 and is probably the best league record of any North High basketball team to date. Ray’s talents didn’t stop with basketball, however. He also played junior varsity baseball in 1961 and varsity baseball in 1962 and 1963. But, I’m sure there is one sport you might not associate with Ray Ermigarat, and, that’s cross country. He originally went out for cross county in order to get in shape for basketball but soon found out that he was pretty good at it. So good, in fact, that he placed fifth in the SYL Cross Country Championships in 1961. Upon graduating from North in 1963, Ray entered Bakersfield College and played basketball for one year averaging 19.9 points per game and was elected to the All Metropolitan Conference Team that year. After his freshman year, he had two knee operations and sat out one year. He tried to return to the court, but his knee just wasn’t the same thus ending his basketball career forever. But, good things came out of his time at BC; that’s where Ray met his wife, Judy, to whom he’s been married for 45 years. Ray and Judy have two children and six grandchildren. Their son, Jason, graduated from West High in 1990 and Pointe Loma in 1995. Following in her Dad’s footsteps, daughter Kori graduated from North in 1992 and the University of South Carolina in 1997. Playing for great coaches such as Tom Bailey and Joe Goode are at the top of Ray’s fondest high school memories’ list, along with being on the same team with outstanding basketball players such as George Culver, Guy Rounsaville, Larry Tolliver, Danny Moore, Roger Palmer, Larry Hudson, Jim Windes, Paul Crissman, and Barboza Teixeira. He also remembers receiving overwhelming support from the faculty and student body. Thankfully, Ray Ermigarat came to North High via Bakersfield High School to become one of the premier basketball stars this school has ever produced.